We certainly have an abundance of examples of how a culture of silence can damage an organization. In 1986, Space Shuttle Challenger exploded 73 seconds after takeoff because of the failure of one small part. Any business school student knows that the culture of silence was the culprit. NASA knew about the possible failure of the O-rings, but those making the “go” decision didn’t listen to the warning. The healthcare industry is struggling to emerge from the culture of silence that has been blamed for hospital acquired infections and other quality breaches. Their work involves creating psychological safety at all levels of staff, so that any caregiver can safely call others on a potential unsafe act. Given the culture of hierarchy in healthcare, this is a huge challenge, and overwhelming change for the industry leaders. Now we find clerks who worked at the Veteran’s Administration being told by supervisors to “zero out” the date that the Veteran asked to see a healthcare provider; to use the appointment date as the “requested date,” because “wait time” was one of the metrics used to determine if a VA hospital was, in fact, serving their constituencies effectively. And apparently, the Director’s claim when he testified before Congress, was that he didn’t know. I can believe that. The Washington Post, on May 30, 2014, carried an excellent article on the culture of coverups at the VA. 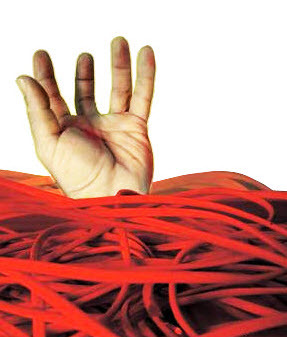 According to author David Fahrenthold, the first unrolling of red tape at the VA was put in place to prevent another disaster after the first VA Head misappropriated agency funds. After decades of layering on more bureaucracy, Ken Kizer stepped up to head the agency in the 1990s, and found that he had to approve a $12 purchase by a secretary. He set out to dismantle the bureaucracy, and introduced a series of metrics so that the work of the caregivers could be reviewed but not micromanaged. That’s a noble idea and theoretically sound. Over time, the lower level supervisors’ bonuses were tied to the metrics! And that would be an unintended result of a noble idea. It isn’t enough for leadership to listen in this age of complexity. I would propose that there is nothing more important than for a leader to ASK really hard, really pointed, and really probing questions. And don’t just ask their direct reports. Ask the people who are doing the work. And the second most important role of a leader is to respond when given information. Information is a gift – it isn’t always something a leader can change or likes to hear, but it is always the opportunity to continue open dialogue. Those decisions made over the decades at the VA were not necessarily bad decisions; they were most likely made in good faith response to a business need. But organizations are complex systems, and one change to an organizational system will create ripples throughout. Asking good questions, generating dialogue and rewarding open communication can help to see what impact those ripples are having. And once you know, you can make adjustments. 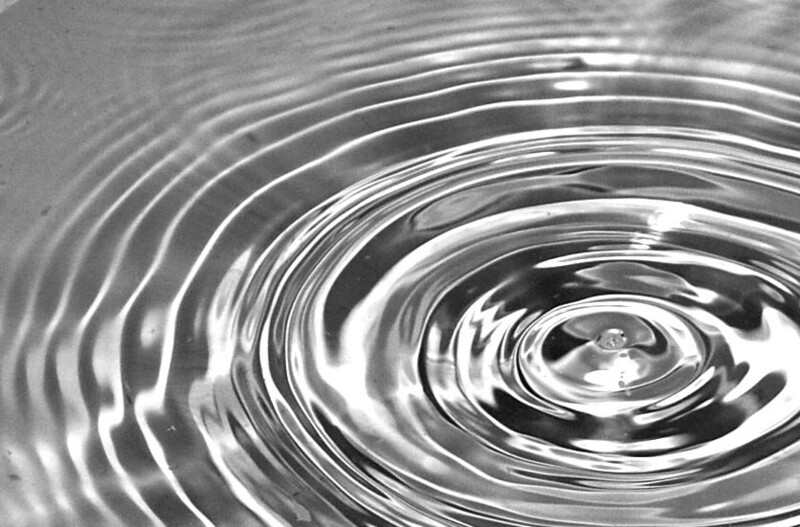 What ripples are happening in your organization that you should know about? A well written article. The failure of middle management ethics within the VA bureaucracy is, unfortunately, something that is prevalent throughout the government and in most businesses. Middle managers, pressed with unrealistic expectations from leaders and insufficient resources to accomplish what they’ve been tasked to do, become focused on gaming the system to survive. Personal survival trumps organization purpose. People learn the techniques as children….please the parent, get the reward. We fail the test of morality….doing what is right regardless of what you are told because it’s too hard or will cause some pain. The overwhelming majority of people take the easy route of obedience…doing what they are told regardless of what is right. In the government and in most businesses, no one wants to be the messenger carrying bad news because most often, as the saying goes, “they shoot the messenger” because the tendency is to not want to hear the bad news. We have lost our sense of morality, of ethical behavior because it’s too hard to do and that mentality is a destroying us. I was fairly surprised to see how open all those who “zeroed out” at the request of the supervisor were in admitting it was happening. That validates your point, that we are missing a “greater good” element of our personal values in this day and age. Realistically though, I don’t know if that is new behavior. I do think we teach our youth to stand up for themselves, which is not a bad thing. But when the balance of the equation – seeing the greater good – is missing, that’s a problem. And we certainly have lost a sense of right, truth and value.